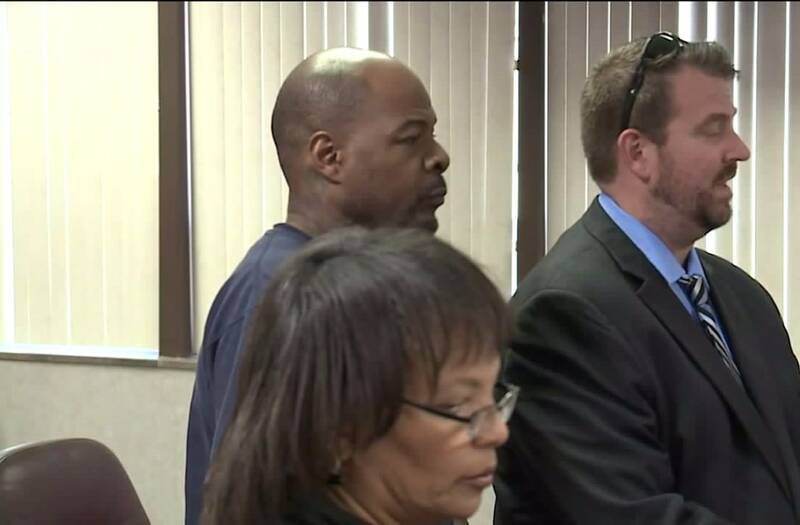 GARFIELD HEIGHTS, Ohio (WJW) -- The man accused of killing his wife in her Garfield Heights home appeared in court Thursday morning. The man accused of killing his wife in her Ohio home appeared in court Thursday morning. Monte Woodley, 45, of Bedford Heights, is charged with murder. He was arraigned in Garfield Heights Municipal Court at 11 a.m.
His attorney requested a lower bond than the $1 million originally set. Judge Jennifer Weiler left the bond where it is and the case was transferred to Cuyahoga County Municipal Court. Woodley's wife, Lavora Allen, was found at the bottom of the steps of her house on Orme Road on May 1 after officers were called to investigate her as a missing person. The Cuyahoga County Medical Examiner's Office said she died of strangulation.